Immanuel Velikovsky (1895-1979) is the most notorious of all Bad Archaeologists by virtue of the scandal caused by the publication of his book Worlds in Collision in 1952. His main thesis – that the earth suffered a number of cataclysms in the second and first millennia BC as a result of near-misses by comets ejected from Jupiter that subsequently became the planets Mars and Venus – is essentially astronomical and is indisputably wrong. It was not the thesis of the book that gave Velikovsky his subsequent notoriety but the fact that when the book was ready for publication in 1950. A group of scientists whose work was distributed by the same publisher threatened to withdraw their work from the company’s lists. As a result, Worlds in Collision was published by a subsidiary of the company and its author was correctly able to claim that the scientific establishment had sought to stifle his ideas. Had it not been for these few scientists, Velikovsky’s work might well have faded into obscurity, full as it is of astronomical speculation based on ancient mythology. However, in the Preface to Worlds in Collision, he announced an ambitious reconstruction of ancient history from the middle of the second millennium BC down to the time of Alexander the Great. This was necessary, he explained, because for Worlds in Collision, he had used “a synchronal scale of Egyptian and Hebrew histories that is not orthodox”. The unorthodox synchronisations included an identification of the female Pharaoh Hatshepsut (1490-1468 BCE) with the Biblical Queen of Sheba, who would have lived in the later tenth century BCE, and Tuthmosis III (1468-1436 BCE) with Pharaoh-Shishak (שישק), separated by five or more centuries on the conventional chronology. Velikovsky’s method involved using the Biblical chronology to redate Egyptian history by providing links between the two histories, one assumed to be dated correctly, the other assumed to be dated wrongly. Ra‘messe II or the Biblical Pharaoh-Necho? Although Volume 1 of a projected two-volume work, Ages in Chaos, was published in 1952, covering the Egyptian Eighteenth Dynasty down to the time of Amenhotep III, it was not until the late 1970s that the remainder of the work began to appear, having now expanded into five volumes. When they did appear, there were surprises in store. Most readers had assumed that Velikovsky’s reconstruction of history would involve the compression of the Third Intermediate period by allowing more dynasties to be contemporaneous than orthodox Egyptologists have usually done. Instead, the public was treated to an identification of Ra‘messe II (1289-1224 BCE) with the Biblical Pharaoh-Necho (c 600 BCE), his Hittite opponent Muwatalliš II (1295-1272 BCE) at the Battle of Kadesh (c 1274 BCE) with Nabukudurriusur II (Nebuchadnezzar, King of Babylon 605-562 BCE), and Ra‘messe III (1184-1153 BCE) with Nechtnebef (Nektanebo, 380-362 BCE), one of the last indigenous rulers of Egypt before Alexander’s conquest in the late fourth century BCE. Needless to say, this reconstruction is entirely text-based. There is no stratigraphic evidence from Egypt or the Levant to back up these claims that not only down-date some pharaohs by as much as seven centuries but also reverse the sequence of numerous individuals. Some well-attested pharaohs (such as Ra‘messe VI, 1142-1135 BCE)) are dismissed as controlling only small oases in opposition to the Ptolemies (305-30 BCE); some (such as Psamtik I, 664-610 BCE) are downgraded to Persian satraps. Even if (like Peter James) we accept that there is something not quite right with Egyptian chronology, it is unlikely to be this fundamentally wrong. Two centuries of archaeology have been devoted to working out the sequence of pharaohs (indeed, a valid criticism of Egyptology is that it has devoted too much effort to this enterprise!) and although there may be room for squeezing and stretching individual reigns or altering the degree of overlap between contemporaneous rulers, there is not the latitude to make Ra‘messe III (1184-1153 BCE) a contemporary of Philip II of Macedonia (359-336 BCE)! As with so many Bad Archaeologists, Velikovsky’s need to rewrite history stems from a fundamentalist viewpoint. He assumes the primacy of the Hebrew Bible; even if Genesis has to be taken as largely allegorical, he regards it as a detailed and accurate account of the history of the Middle East from the Exodus onwards. Anything that disagrees with it is therefore wrong and needs to be corrected. 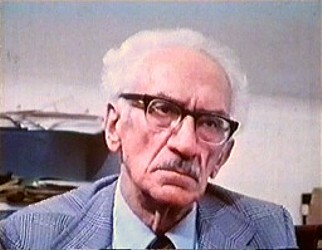 Velikovsky was clearly sympathetic to the Zionist cause, although it is not altogether certain that he would have regarded himself as a Zionist. Even so, the final sentence of Part II, Chapter VI of Worlds in Collision makes his feelings about his Jewish heritage clear: “from the desperate and heroic struggle for national existence on its narrow strip of land…, it became a nation chosen to bring a message of the brotherhood of man to all the peoples of the world”. A reconstruction of ancient history written from so passionate a viewpoint cannot but be sidetracked down some bizarre roads leading to a town called Bad Archaeology. Velikovsky’s writing and the seemingly “disgraceful” way the archeological profession treated him, were what first got me interested in archeology back in the early ’60s. He was so eloquent, so eminently reasonable, so persuasive! And so selective in his evidence; so outrageously blind to contradictory evidence, that I must thank him for helping to set me on the right track — if not the track he espoused. Velikovsky seems to be back in full force, although in different clothes. Check out the link below. Yes, his argument is text based. And he is honest about syncing up with Bible chronology. But “His main thesis – that the earth suffered a number of cataclysms in the second and first millennia BC” was never disputed above. And the past few decades have found his fundamental premise – that the earth has been disrupted numerous times – appears to be gaining acceptance. He established this when general belief was in an earth fundamentally undisturbed for millions of years. Chuck, that view has not been challenged at all. What has been discovered are minor disasters of local or regional nature that did not impact the entire planet. The last planet-wide disaster was the ice age. Yes, Ages in Chaos is predominantly text-based, but the sequence 13th dynasty – Hyksos – 18th dynasty is unchanged, so the archaeological sequences are too. In the subsequent books archaeology figures more prominently. But isn’t the accusation a case of “the pot calling the kettle black”? The broad shape of the standard chronology of Egypt is not archaeology based either – it was fixed by late, copied, fragmented and inconsistent texts (ie by Manetho’s copyists) before the archaeology was done. Even the Cambridge Ancient History admits that datable objects (ie datable Egyptian objects) in Palestine are “useless for dating purposes” (they are all “heirlooms” or “copies” – ie they appear in later strata than the SC says they should), and there is no clear-cut archaeological (or text-based) evidence for the dark ages of Greece and Anatolia either. When the Mykenean and Hittite dates were increased to fit the SC, the SC should have been downdated to fit them. Whether Velikovsky’s chronology is right or wrong, or whether a more modest revision (like James) would do the job, it’s time to admit that the SC has to go back to the drawing board. There may be issues with the Standard Chronology, but they are nowhere near as great as Velikovsky (or James or Rohl, for that matter) would have us believe. Something that puzzles me, as an archaeologist accustomed to working in the UK, is that archaeologists in the Middle East seem to have little recourse to scientific dating techniques. Although there were some curiously late dates (ninth century BC, if I recall correctly) for some material from the tomb of Tut‘ankhamun obtained in the 1950s, more recent assays have tended to confirm the standard chronology, placing them in the fourteenth century BC. There are also cross-links between the eighteenth dynasty and Minoan Crete which again suggest a fourteenth-century date (or earlier, rather than later, if Mike Baillie is correct in redating the Santorini eruption to 1621 BCE). My suspicion is that there is some room for tinkering with the chronology but that it may involve a few decades at most. Interesting. But even assuming that the identification of the 1621 date with Santorini is correct (there seems to be some doubt about this), how would that fit with the SC for Egypt. Santorini has generally been dated to the reign of Thutmose III, and finding an extra 140 years of Egyptian history (rather than “a few decades at most”) seems like a tall order. Otherwise, to get a correlation you need a footprint in the Egyptian archaeology. And without Santorini you’re back to deriving Minoan (and Mycenean) chronology from the Egyptian, rather than independently, which makes them useless for cross-checking the Egyptian timeline. Just a couple of corrections to the article. Rameses VI was not identified as being of the Ptolemaic period as you state, but as Nectanebo II of the 30th dynasty, a grandson of Nectanebo I, just as Rameses VI was a nephew of Rameses III, their reigns being preceded in both cases by an uncle (Rameses IV and Tachos) . You are probably confusing him with the entire 21st dynasty, given by Velikovsky as ruling in the western oases, though during the Persian period, rather than the Ptolemaic, except for a small overlap of maybe a decade or two. Psammetichus of the Greeks (664-610) is not downgraded to a Persian satrap. Rather it is whoever wrote his cartouche as Psamtik (he left very few compared to Seti) who Velikovsky says is a Persian satrap, and not in fact Psammetichus at all. So, to continue. Do you think this interpretation of the Cambridge Modern History is correct, and if not, why not? If it is, is this not a reversal of the normal procedure whereby a text/inscription based reconstruction is to be tested by the archaeology, rather than vice-versa, as seems to be the case here? To reject the archaeology we should need a very powerful reason, but what we seem to be offered here is a circular argument – we can reject the location of the finds, because they are heirlooms, but how do we know they are heirlooms? Because they appear in the wrong strata! Nor is the explanation overly convincing. There is no independent evidence for it, or any attempt at an explanation of why people would have kept or copied these items. One wonders how the standard chronology might have turned out if the archaeology had been done first, and the chronological construction had followed after. As it is, in giving precedence to the inscriptions the SC has fallen foul of one of the criterion for what constitutes Bad (although not Crank) Archaeology. I should stress that I’m definitely NOT a Creationist, Believer in Aliens and/or Ancient Atlanteans, or even “Planetary Roulette” (though something bad does seem to have gone down at the end of the Egyptian Middle Kingdom); I just see too many question marks in the standard chronology. The main problem with a standard chronology is that it has been written in stone. When it was first determined that dinosaurs became extinct suddenly, it was heresy. Now the big news is the latest guess WHY it happened that way. Our history is punctuated by cataclysms, and we can thank Velikovsky for exposing this undeniable fact to the world! Let’s take this from the top again. Firstly, just to make my own position clear, I think Velikovsky’s chronological revision (but not his catastrophism) is broadly correct, though I recognise, of course, that there are outstanding issues and problems, so it’s not a done deal. However, repeated assertions that while “There may be issues with the Standard Chronology, but they are nowhere near as great as Velikovsky (or James or Rohl, for that matter) would have us believe”, unbacked by evidence or argument, are not a sufficient response to the problems with the SC. So, I quote, “Needless to say, this reconstruction is entirely text-based. There is no stratigraphic evidence from Egypt or the Levant to back up these claims that not only down-date some pharaohs by as much as seven centuries but also reverse the sequence of numerous individuals.” I’ve already pointed out the SC itself is text and inscription based, without response , other than “Two centuries of archaeology have been devoted to working out the sequence of pharaohs (indeed, a valid criticism of Egyptology is that it has devoted too much effort to this enterprise!). I’ve also pointed out that revisionists generally, including Velikovsky, have done a lot of work on archaeology, and there is plenty of stratigraphic evidence from both Egypt, and especially the Levant, to show that there is something seriously amiss with the standard picture, some of which I have alluded to in previous posts, again without response. As a general point, it can be said that turning archaeology into history does require some form of interpretive framework. But how far should you go in dismissing the archaeology to make it fit? So here are a couple of “case studies”. Beth-Shean is often cited as a site that proves the SC is correct, and the stratigraphic analysis that accompanies this claim does seem to show that. Level IX is 18th dynasty, level VIII/VII is 19th dynasty, level VI is 20th dynasty and on down to c1000BC, level V/IV is late Iron I and Iron II, probably down to the Assyrian conquest. Then a big gap (more than 400 years) down to level III, the 3rd century Hellenic level. So what’s the problem? The problem is that after the Tuthmosis III objects in stratum IX, all the way down to stratum III, the datable Egyptian objects all appear in the wrong levels. Most important of these objects are the stelae of Seti I and Rameses II, and the statue of Rameses III, all found set up in front of a temple complex in stratum V, rather than in levels VII and lower VI, where they are said to belong. It’s claimed that these were reused, but what is the basis for this? It can hardly be the location of the finds, which would require the argument “the fact that they were set up in front of a temple shows that this can’t be their original location”, which seems absurd. The only other motive seems to be to make them conform to the SC. Also moved are the Rameses I objects in upper stratum VI (to level VII/VIII) and the Amenhotep III objects in stratum VII (to stratum IX). All these objects (with the exception of a couple of stray scarabs) were found in their correct sequence, but displaced by two strata. The actual archaeology is completely at odds with the SC. But this destroys the claims that Beth-Shean proves the SC, and that the SC is archaeology based. One of the most important “correspondences” in the archaeology of the standard chronology is the connection between Philistine pottery and the time of Rameses III, which is used to fix the beginning of Iron Age Ia. But what is this correspondence based on? Firstly, of course, it’s based on the assumption of a known date for Rameses III (so it can’t be used to fix the date for Ramesses III, which would be a circular argument). Secondly, it is based on a reading of P-r-s-t in the Medinet Habu inscriptions as “Philistine”. But why this reading? It’s not the natural way to read it in Egyptian. In the Canopus decree P-r-s is clearly Persia, so why shouldn’t P-r-s-t be read as Persian? The answer seems to be that even before the deciphering of the hieroglyphics, or any substantive archaeology beyond tomb-robbing, the date of Rameses III had already been fixed close to its present value, ruling out reading P-r-s-t as Persian. But on what basis? Not the archaeology or even Egyptian inscriptions. Solely, it seems on late, copied versions of Manetho. At Tell-el-Yahudiyeh a palace of Rameses III was excavated in the late 19th century. The excavators identified the tiles as being similar to 5th-4th century Persian tiles. On the backs of many of the tiles, scratched into the clay before firing, were marks left by their makers. Of these, many were Egyptian hieroglyphs, but they included also a number of what appeared to be Greek letters of the 4th-3rd centuries. The tiles and the letters are therefore of roughly the same age, but how could they be from a palace of the 12th century? Nearby, scarabs of Setnakht and Rameses III were found in tombs of a style similar to Ptolemaic and Roman tombs. 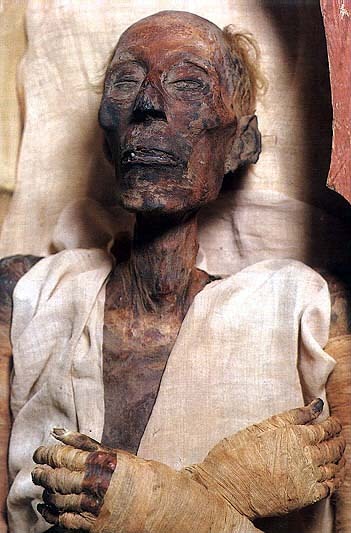 We then have Rameses III in a 4th century context for Egypt, Persia and Greece. If all these are really to be placed in the 12th century to fit the SC date for Rameses, we are surely entitled to a good explanation of why Rameses III must be 12th century. But nobody will tell me what it is. I could go on. Mycenean and Phrygian gates, the late Assyrian style of Hittite art, the Dark Ages of Greece and Anatolia. To defend the SC at least some of these should have a satisfactory explanation. Unfortunately, Velikovsky requires the end of the Greek Bronze age to be downdated by several centuries, not updated, as this article indicates. True, the article referenced has its own problems – the “scientific evidence” for redating Santorini to 1625 was never strong – the volcanic acid spike that was its basis was just that – from *a* volcano that happened to be moderately, but not convincingly, close to the expected date. Particulates from these cores, however, have now been found not to match Santorini, so it’s odd to find this evidence still being cited.